The 'Scream & Shout' hitmaker told cast members on the set of the British soap that he would love to film scenes for a video at the iconic Rovers Return pub, and now it has been revealed he's reportedly heading to the Manchester cobbles later today to cause "chaos" with 20 dancers and lots of "fire and explosion". The Black Eyed Peas star has even got the "seal of approval" from legendary 'Corrie' star Beverley Callard, who plays Rovers Return landlady Liz McDonald on the soap. An insider close to the ITV show told The Sun newspaper: "After much persuading of producers, and the seal of approval from 'Corrie' veteran Bev Callard he wangled his way on to the set. It's going to be chaos - loads of special effects on the cobbles and in the pub. will wants as much fire and explosion as the set can handle. "They are even booting out the actors and crew early from filming so will's 20 dancers can rehearse. "It's a complete nightmare and 'Corrie' producers are hoping the Street comes out of it unscathed." Speaking about her meeting with the 41-year-old star recently, Beverley said: "will.i.am told us he does want to film his new video in the Rovers. "He has said he is very keen but just needs to find a suitable time. He said we can all join in. We're all so excited." The producer-and-musician will reportedly be joined by three of his contestants from 'The Voice - Jason Jones, Michelle John and Tanya Lacey - for the shoot. 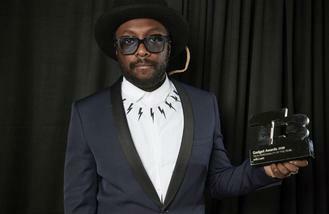 will.i.am previously teased that he is working on an "exciting" new Black Eyed Peas project. He shared: "I don't want to say the word album because that just dates you, but we're doing a new project. It's really exciting. It's the best time to be creative right now with all the tools and folks doing what's best for themselves and creating in different mediums. "I'm staying very vague but I'm so excited about the stuff we're going to do this year. And I love tech, so it's going to be jam-packed with some awesome f***ing tech."